A previously little-known writer explores the marginal, macabre and mortality through his own magic realism. Perhaps it takes a character in a Russian story to create a suicide plan that is somehow both exquisitely nihilistic and oddly, touchingly, life-affirming. 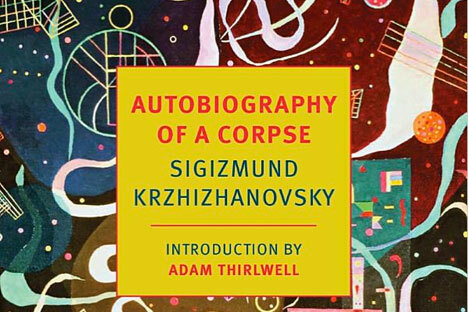 In the brutally perfect “Autobiography of a Corpse,” the Soviet writer Sigizmund Krzhizhanovsky managed to evoke the utter depths of non-existence a person can feel (or not feel), even while still breathing. In the next instant, the author celebrates the hunger to live—though not without irony. And thus a tortured and weirdly redemptive story unfolds. “In A Pupil,” is an eerily amusing story where a kind of magic realism goes awry. A young man gazes into his lover’s eyes, and in her pupil, he sees a miniature man gesturing toward him. Every time they embrace and resume some kind of intimacy, he is distracted, even obsessed with the man in her pupil. When he is finally thrust into his lover’s eye, he lives there in a state of torpor with her other past lovers. The reader can visualize this purgatory as magically as a Magritte painting. Adam Thirlwell, the British novelist who wrote the introduction to this collection, sees him as sharing the sensibility of the fantastic, an early, and dark, Soviet Italo Calvino. The main character ponders – living inside her eye the way Calvino’s Baron lives among the trees – the concepts of lust, love, loss, and the death of love. The story brings an amused satisfaction in the reader that only a subversive parable can offer. “The Runaway Fingers” was written in 1922. Krzhizhanovsky was born in Kiev in 1887; he spoke Polish growing up and traveled throughout Europe before moving to Moscow and becoming a lifelong Muscovite. In 1976, Vadim Perelmuter brought this archive of fiction to light, a treasure trove that had been sitting under brocade in the trunk of Krzhizhanovsky’s lifelong companion, Anna Bovshek. Thirlwell describes this singularly profound work not as the gap between fiction and reality, but a metafiction that finds the gaps in “the real” itself.